Halloween is peeking around the corner. How many sugar highs (and lows) are in your future? Do you really know what’s in that candy you can’t stop eating? What if you could help yourself, and those you care about, make better choices? How do you know what’s a Halloween trick or treat? 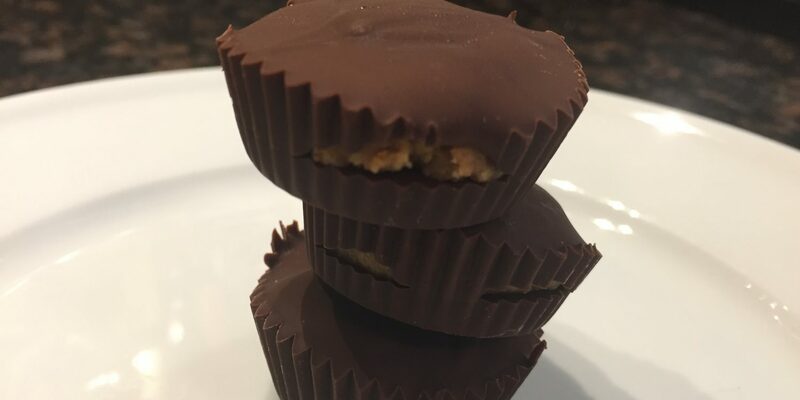 What Makes Dark Chocolate Cashew Butter Cups a Treat? If you aren’t a label reader, become one. It’s important to understand what’s in the food we consume. If we know what we’re eating and how much of it, then we know what we can change when imbalances and problems pop up. Or better yet, we can prevent them. No Refined Sugar. Lower Glycemic Sugar. Reduced Sugar. I use vegan, allergy-free, 72-75% bittersweet dark chocolate to add as little sugar as possible. 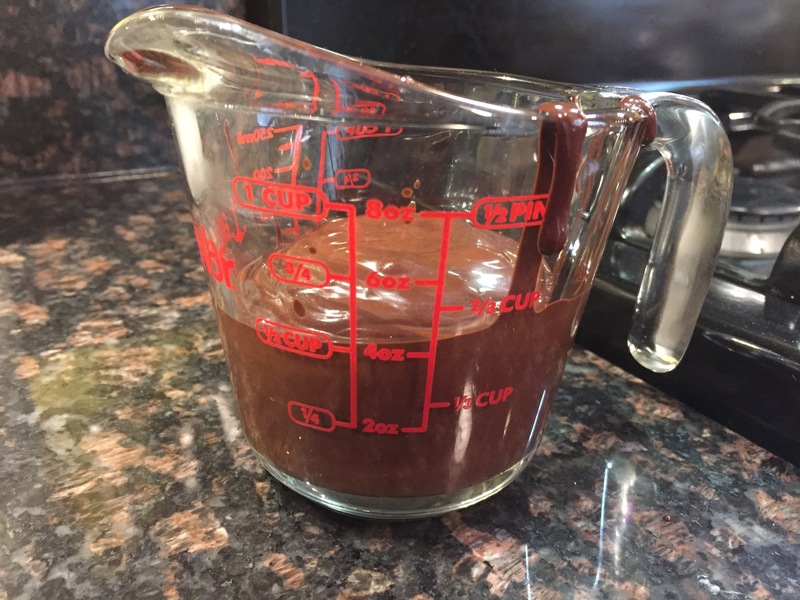 The measuring cup helps me use half of the melted chocolate for the bottoms and reserve half for the tops. I doubt anyone is surprised that Halloween candy is high in sugar. But how many people realize that all sugar is not created equal? Consuming refined, highly processed sugars, like the white sugar and corn syrup found in many candies and candy bars raise insulin levels more quickly than less processed, lower glycemic sugars. Lower GI sugars, like raw honey, maple syrup, and palm sugar, are metabolized more evenly in the body, making them less likely to cause huge sugar spikes and dips in the blood. A treat that reduces sugar, and uses an unrefined, lower glycemic sweetener makes a healthier option. Think coconut palm sugar, coconut nectar, raw honey, maple syrup. Dark Chocolate Cashew Cups meet this requirement! RDA for sugar: 6-8 tsp of added sugar/day. That’s 24-32g of added sugar/day. No Trans-fats. Less Saturated Fat. Quality Fat. Spread your filling to the edges but not so it’s touching the liner. Cashew butter contains heart healthy fats, helping to lower cholesterol. Less fat is better right? Yes, it’s ideal to reduce excess or unnecessary fat in the diet, but some fat in treats is not a bad thing. As with sugar, all fats are not created equal. Many candies contain vegetable, soybean, and hydrogenated oils, all of which would be ideal to avoid. These oils are processed at higher heats, which can compromise their structural integrity. Plus, they contain higher amounts of saturated fat, which can cause weight gain and raise cholesterol, increasing risk for heart disease, obesity, and stroke. Using healthier oils, like coconut, olive, or even canola (for some people), or ghee makes better treat options. Healthier fats can actually help lower overall cholesterol, increase metabolism and burn excess body fat. But all fats still should be consumed in moderation, even the good ones. Just remember, a treat that uses a small to moderate amount of a higher quality fat, not processed at high heat makes a healthier option. Think coconut oil, olive oil, canola oil (for some), or ghee. Dark Chocolate Cashew Cups meet this requirement! RDA for fat varies depending on caloric intake and if you are trying to lose weight. General guideline is 20%-35% of total caloric intake. Only 7% of fat should be saturated fat. High Mineral Content Sodium. Reduced Sodium. 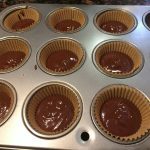 If you choose to top your cups with coarse sea salt, Celtic or Himalayan sea salt, sprinkle before your cups set while the chocolate is soft so the salt freezes into the chocolate. I hope you think about 450 mg of sodium as over 1/5 of your sodium for the day (if you are healthy). If you’re eating a reduced sodium diet 450 mg of sodium is closer to 1/3 of your sodium for the day. That’s the thought process I use to decide if I want to buy or eat each food. In addition to amount, the source of sodium is important. Average table salt does not contain the same minerals and nutrition as sea salt. I buy a few varieties of sea salt, like, Celtic or Himalayan, for their rich mineral content and unique flavor. This enriches the food you make and consume, and certainly makes your homemade treat healthier than others. Treats should contain some sodium to enhance flavor, and even nutrition, if you use a high quality sea salt rich in minerals. Dark Chocolate Cashew Cups meet this requirement! With certain medical conditions, RDA lowers to 1500 mg of sodium/day. Commonly seen on food labels, dextrose and maltodextrin can contain other hidden additives, like sugar, corn syrup, and products derived from wheat and other allergens. TBHQ, BHT, BHA have controversy attached to them. While the FDA regulates TBHQ, BHT, BHA, and others like them, there are studies that link high amounts to them to tumors, cancer, and cell mutation in rats. So, while you may think that you are eating one thing, you really may be consuming a whole world of additives you didn’t realize you agreed to eat. Know what you’re eating. Treats that don’t contain food additives and preservatives make healthier treats. Dark Chocolate Cashew Cups meet this requirement! 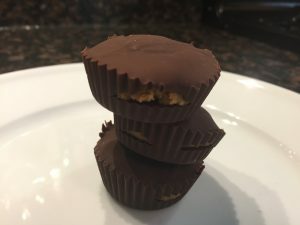 There are many versions of healthier “peanut butter” cups. This is mine. If you eat peanut butter, you can swap an unsweetened, unsalted peanut butter for the cashew butter in a 1:1 ratio. 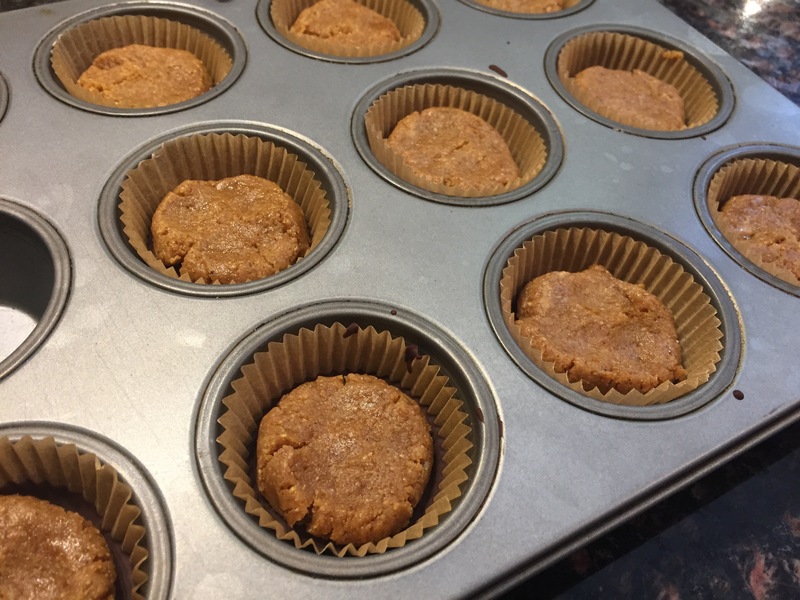 Line a mini muffin pan with mini muffin liners and set aside. In a double boiler, add in dark chocolate chips, coconut oil and sea salt. Melt over simmering water until well incorporated. Do not overheat. 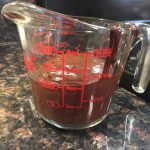 Pour the chocolate into a glass measuring cup. You should have about 1/2 cup. I like to see how much I have so I use half to fill the bottoms and reserve half for the tops. 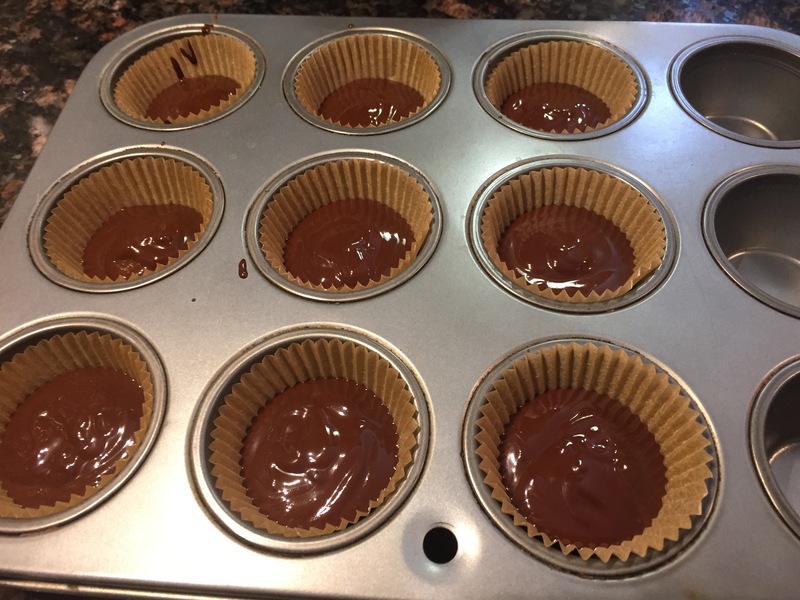 Fill the bottom of each muffin liner with 1 to 2 teaspoons of the chocolate mixture. (I use my 1 or 2 tsp measuring spoon.) Set the muffin pans in the freezer. Set aside leftover chocolate to put on top of the cups. In a food processor or blender, add in cashew butter, sea salt, coconut oil, vanilla, palm sugar, and coconut sap (or raw honey). Blend or pulse until smooth and creamy. Remove muffin pans out of the freezer. 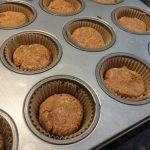 Place a cashew filling on top of each chocolate filled muffin liner. Spread it out so it reaches the edges. Get your reserved melted chocolate and spoon out 1-2 teaspoons to cover each cup. Sprinkle coarse sea salt on top if using. Place the cups back in the fridge (30 mins) or freezer (10-15 mins) until set. Keep refrigerated airtight container for 3-5 days in the fridge, up to 2-3 weeks in the freezer. Best served chilled.